Mary C. Earle, a professor of Spirituality, author, speaker, and spiritual director, will visit Grace Episcopal Church in St. Francisville to present a program on the English Anchorite and Mystic Julian of Norwich. Participants will be guided through a discussion and quiet reflection of Julian’s work and her relevance today. We don’t know her real name. We don’t know much about her life. We do know that Julian of Norwich was an English mystic and anchorite. Her experiences of Christ’s love and presence led her to compose the first text written by a woman in English. A contemporary of Geoffrey Chaucer, Julian was an anchorite, or enclosed hermit; she offered spiritual counsel to her fellow Christians and prayed for them. While she was gifted with ecstatic “shewings” (showings) of Christ on the cross, her language is very down to earth, and aimed at the person who tries to live a faithful life. She is funny and wise, gentle and insightful. She gives us language for speaking of God and Jesus as Mother, and for discovering that “there is no wrath in God.” And she hands on what she has received: the words spoken to her by Jesus on the cross, “All shall be well, and all shall be well, and all manner of things shall be well.” Her life and her message are particularly well suited to the season of Lent, as we open ourselves to the richness of the baptismal life. This event is from 10 a.m. to 3 p.m. at Grace Church. Lunch and refreshments will be provided. We will also have copies of The Rev. Mary C. Earle's books for sale. 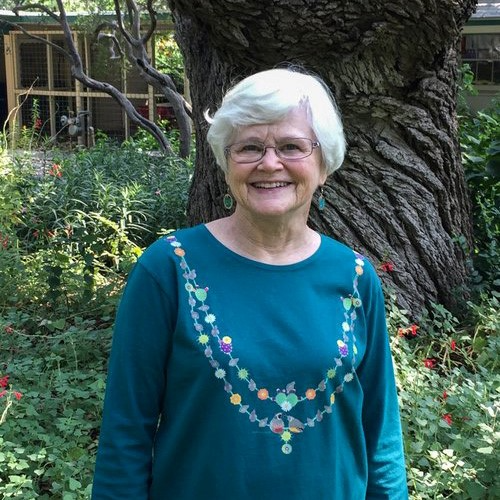 Mary C. Earle is an Episcopal priest, poet, author, spiritual director and retreat leader. Until her retirement, she taught classes in spirituality for the Seminary of the Southwest in Austin, Texas. Mary has authored nine books; the subjects include the spirituality of living with illness, rule of life, Celtic Christian spirituality, the Desert Mothers, and Julian of Norwich. Mary has offered presentations and retreats in a variety of ecumenical settings, including conferences of the Academy for Spiritual Formation, Oblate School of Theology, Spiritual Directors International, the International Thomas Merton Society and hospice organizations. She and her husband Doug live in San Antonio. She was included in the Living Spiritual Teachers project of Spirituality and Practice. Her website is www.marycearle.com.